May 09, 2016 / LBD "Nytetrayn"
Multiverse Studio's wearable Mega Man replica helmet must have gone over pretty well, as the Capcom Store has introduced one of the expected follow-ups in the form of a similar wearable Proto Man replica helmet! This is an incredibly, detailed replica with intricate details such as air vents on the back, a sheer see-through visor, and opening flanking side panels that allow you to insert your head. Each side panel lights up with a high-powered LED light (2 AAA batteries per light required, not included). Inside the helmet are comfortable padding cushions that can be positioned throughout the interior of the helmet to ensure a comfortable fit. 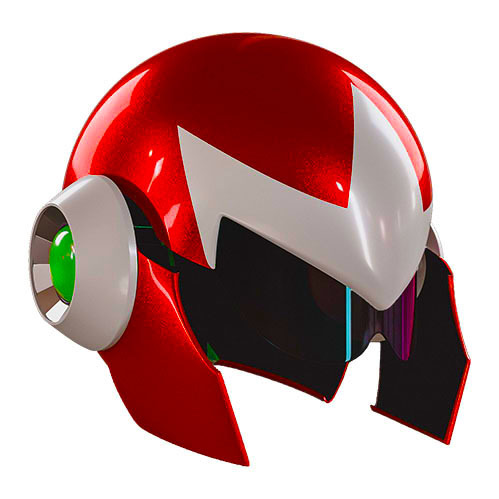 Made out of high quality, ABS plastic, the Proto Man helmet sports a high polished chrome-looking sheen. This limited edition replica is not just perfect for cosplay adventures, but is suitable for display in any home or office. The helmet measures at 12 inches by 12 inches and weighs three pounds. 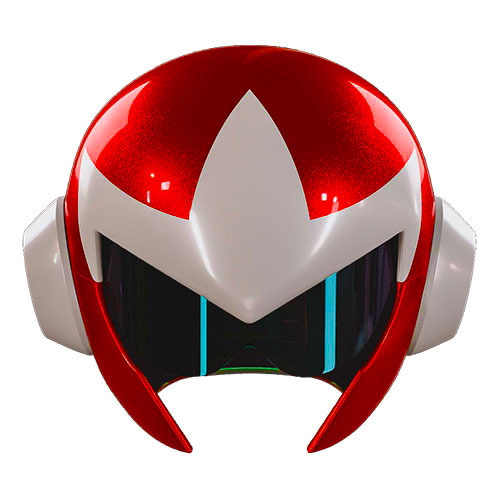 There is no mention on the store of this being produced by Multiverse Studio as Mega Man's was (nor is it mentioned on their website), though that may not be an unreasonable assumption, given the similarities. Unfortunately, this one's not going to be ready for convention season as it won't be ready until Winter 2016. However, the Capcom Store is offering a heck of a deal: not only can you pre-order it now and get it for $160 USD instead of the regular price of $200 USD, but helmets ordered through the Capcom Store will also receive an exclusive "authentic" Proto Man scarf. "Made of quality fabric and sports the Proto Man seal on one tail," this scarf will no doubt help complete the look. Interested in getting one of your own? Then just click this link and start whistling while you fill in the pre-order info!